It is the most affordable digital multimeter for students and hobbyists. It packs with more features than others in its class. The only thing it doesn’t have is a continuity beep. You can still check the continuity with the resistance measurement. 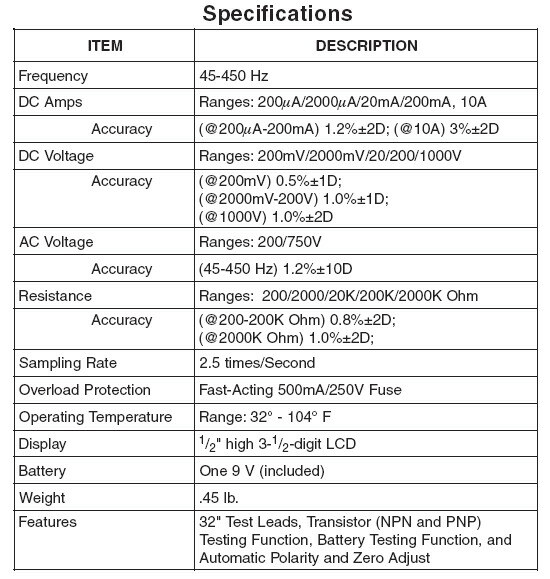 It can read DC voltage, DC current, AC voltage, resistance, transistor test, diode test, and battery test. Easy-to-read LCD readout, positive set selector switch and 32” leads.